The living legends of the disco era, Boney M delivered a stunning performance at Dublin Square, Phoenix Marketcity, Kurla. Boney M got the audience dancing to their record-breaking hits such as“Daddy Cool”, “Ma Baker”, “Rivers of Babylon”, “Brown Girl in the Ring” and “Ra-Ra-Rasputin”It was truly a memorable evening for over 3000 guests who witnessed the electrifying performance of the one of the biggest disco orientated pop acts. 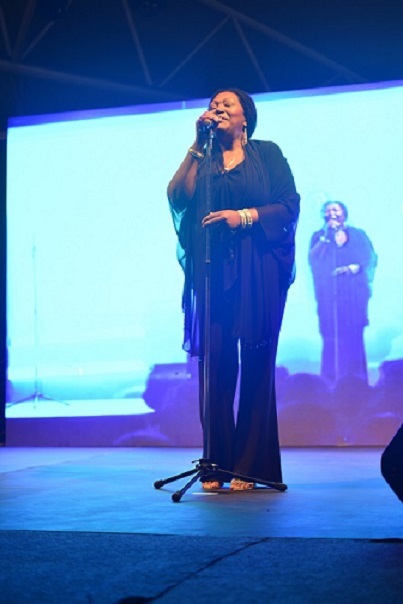 Liz Mitchell, along with the other band members Toni Ashcroft, Paulette and Jacinth took the audience through an unforgettable disco-pop experience. The concert took place in the European themed courtyard, Dublin Square at Phoenix Marketcity, Kurla, which has witnessed a variety of blockbuster events such as the Vengaboys concert, Euphoria, Pankaj Udhas Live in Concert, theater showssuch as FourPlay and many more. The Courtyard with its alfresco seating has multiple dining options with restaurants like 212 All Day Café & Bar, The Big Kahuna, The Irish House, Rainforest and Pizza Hut, was the ideal venue for the electrifying performance, making it a memorable evening.